‘The 2013 Hallyu Dream Concert’, which is being held by the Korean Entertainment Producers’ Association and the city of Kyungju, is set to be held at the Kyungju Citizen Stadium at the 6th of October. 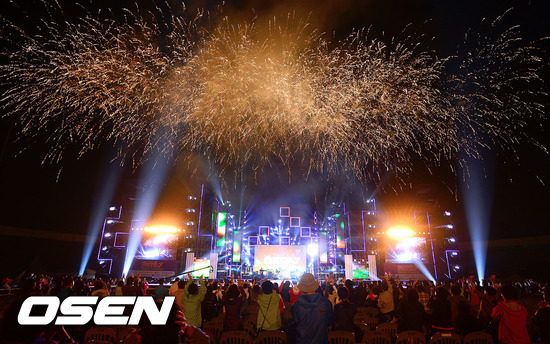 The ‘Hallyu Dream Concert’, which is in its its fourth year running, will be held across two days as a part of the Hallyu Dream Festival, with a K-pop cover dance festival held on the first day and the concert held on the second day. The concert will be attended by 21 of Korea’s top idol singers such as TVXQ, 2AM, KARA, T-ara, Ailee, SISTAR, 4minute, A.Pink, Crayon Pop, Davichi, 5Dolls, AJAX, VIXX, B2B, Bangtan Boys, Boys Republics, Kim Tae Woo, JangmiYeogwan, M.Pire, Leegobam and TASTY. Meanwhile, tickets will be on sale from 8p.m. on the 12th through Interpark and all seats will be sold at 5,000 Won.